Fujifilm is considered the leader in the APS-C mirrorless camera market with its renowned X-Trans sensor technology and high-quality lenses. In this video, you’ll find all the details about the latest X series model released by Fuji: the new X-T3. On the exterior, the new X-T3 shares the same design as the previous model, the Fujifilm X-T2. However, some improvements have been made on the new body, such as the slightly extended viewfinder, the new EVF with better resolution, and the touchscreen that allows autofocus point selection, taking pictures, and swiping through the gallery. But without a doubt, the most important upgrades are the new X-Trans 4 sensor with BSI, the improved 4K/60 fps video features, and the autofocus system. Contrary to Canon and Nikon, the new camera releases usually don’t disappoint Fuji users, and X-T3 is not an exception. 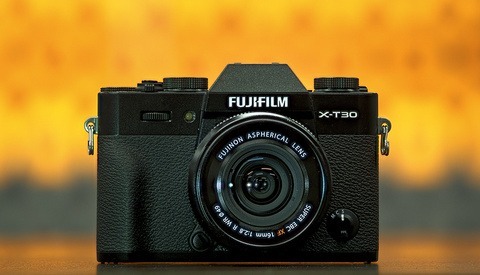 In this 11-minute video, Jerry Julien of the Fuji Guys Channel gives a first look at the new X-T3 with some in-depth review of the new features. He tests the new autofocus system on both stills and video, while comparing the new model to the previous version, the X-T2. Don’t forget to share your thoughts about this new camera in the comments section below. 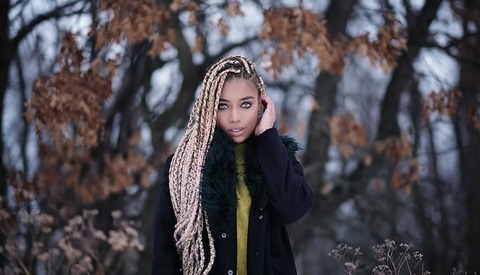 Burak is a photographer and creative retoucher specialising in fashion and advertising, working with international clients from Canada, Europe and Australia. Currently lives and works in Melbourne, VIC Australia. Fstoppers Takes a Hands-On First Look at the Fujifilm X-T30: Best Camera Under $1000? What is going on with Fstoppers? This falls into the news category and is already a week old. Profoto announces a new flash and you guys are silent about it. Where is Lee and Patrick when you need them. Hi Felix, this is not a news about the launch, this is a first-look review of the final product. We are well aware of the Profoto announcement, and you will also read the news about it soon. Lee and Patrick are still here and they are working on some great stuff as usual. Are you sure? I see that the storm may hit their location. Hope all is safe with them. "Contrary to Canon and Nikon, the new camera releases usually don't disappoint.."
Nikon's new camera releases don't usually disappoint their users. In fact, the Z series cameras, which I assume you're talking about, are only disappointing to an unknown percentage of users. I agree. Every camera is going to disappoint a few people, including Fuji's, but Nikon's releases over the years have tended to be very well received by those who use them. I agree. The D850 and D500 were really good cameras. The Z series seem to be quite good too. Apart from the single card slot, they have IBIS and really good video. That isn't the case with the Canon R camera. Canon have continued their tradition and handicapped their camera. But I have been a Sony aps-c user since they introduced their first camera (the a100) and before that I was a Minolta user. Sony have done a tremendous job of their a7 line of cameras but they seem to have completely forgotten that they also have an aps-c line of cameras. So that x-t3 maybe be my next camera if Sony don't step up their aps-c game. I don't like that because I have a rather large system of aps-c lenses and flashes. And money doesn't grow on my back. 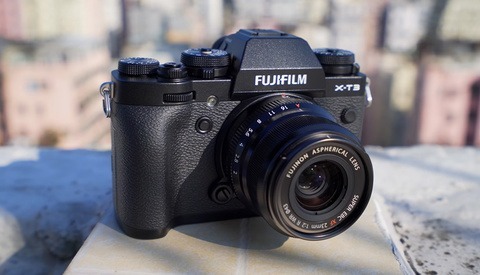 The x-t3 seem a very nice camera and I know they have a very large selection of nice glass. to be honest, I liked the Z7 but I am sure the mark 2 will be better. For Canon, I was expecting something better. I wasn't. We have seen Nikon really doing their utmost to make spectacular cameras. Canon have been really disappointing for the past 4 years. They haven't introduced a camera that was actually better in every sense than the competition and have never wowed their prospective users. On the contrary they introduced camera that barely caught up with the older competition. In case of the 6d mk2, that camera had even a worse sensor that its predecessor. The mk4 instead of the not so great sensor could have been much better if Canon got of their habit of handicapping their cameras. Canon have become complacent. They seem to be convinced that their loyal customers keep on buying their gear, not matter what. To be fair, the mock outrage and exaggerated criticism and disappointment post do produce a lot of page views. There has been a click-baity piece about the new Canon or Nikon cameras at least once a day since their announcements. I predict that the Canon R will outsell the Nikon Z at least two to one and the X-T3 three to one. Perhaps. Canon has numerous and faithful customers. "Contrary to Canon and Nikon, the new camera releases usually don’t disappoint Fuji users, and X-T3 is not an exception." Really??? If the lack of IBIS matters for Canon, it matters for Fuji too. Can't you guys use the same criticism even it's your fanboy stuff? I love my Fuji x100f, so this cam is probably a beast, but if the lack of IBIS matters somewhere it matters here too. Richard Kralicek I'm a fuji user who has left canon, and allow myself to step in here, not for bashing, but for a counter argument which might be worth 2 cents. Canon has not been in mirrorless, and I think that coming out with "new Tech" with 1st mirrorless, on Full frame cameras, users were expecting more from canon and Nikon (i was looking forward to their announcement and feel it fell short, and I still have my canon gear in a box). As per Fuji, the Ibis was new on the X-H1 which is really a Video body marketed towards video and DSLR users or GFX users (creating the tight link between the product ranges), but was never in their range of products. Therefore, IBIS is yes something some might look forward to, but for XT2, XT1, XPro2 or any other Fujifilm body except X-H1, they have lived without it, and if they have only been fujifilm users, it's not something they might have been expecting as a "must have" (some have for sure, but I really think it's more about the others having it and feeling they are missing out on a new feature which they won't need for most of them). Might be wrong, but that's my humble opinion about the whole IBIS discussion for most brands. Yeah but the images from both the Canon and Nikon cameras seem to be outstanding. I thought I was going to get a Fuji XPRO2 (even after a disastrous trip with the XPRO1) for a travel camera but I think the Nikon (in my case) will be a better choice. Felix C The most important is to find what fits your needs, cameras are tools, and technology evolves so fast nowadays that it's more about glass, After sales service, availability, and for the technology part, does it fit our most regular work needs, for the rest rental services are the key to good Return on Investment. Yes, Olivier, it comes down to expectation. Of course. But why not expect IBIS from Fuji? Why not expect the internal ND filter on each Fuji? Yes, Canon isn't doing what we want them to do, and as a Canon shooter that hurts. I would enjoy using IBIS, for I'm using manual lenses (tilt shift from Canon, 50 and 85 from Zeiss) many times, and having 1/4000s and not 1/8000s is not necessary. And so on. Canon bashing is way too popular these days, and Nikon bashing too often too. I'd like to have Canon treated like any other camera company. They deserve criticism, not bashing. Richard Kralicek, All camera makers are improving, they hear some things, they try others, they do different things (a bit like the known cartoon of the engineer designing a swing vs what client wants). Weather sealing is adressed in X-H1 & X-T3 (but maybe not in other build bodies). I have never had an. issue with battery door cap or focusing, but have seen other issues with the fuji gear which i talk about on my website blog articles. Canon & Nikon have fantastic features too, let's not say differently. There are nowadays no poor build, poor technology or really poor bodies, and Canon for sure has great features, nikon too, and fuji or sony too. Cameras are just tools, let's not make them a reason to fight online, what do you think ? My piece of advice (if I may) from my 6 months having left my social media accounts aside, letting my website post to it, but not following any of my accounts, and after reading 10 reasons to delete your social media accounts (by jason Lanier). Don't get caught in the hot discussions, don't get annoyed by "web Bullies" as the more we go online, the more we become assholes (please don't take it personally, it's not you i'm talking about). Take pieces of information, read what you are interested in, make your informed decision based on web information and real life testing, and enjoy shooting, whatever brand, and who cares what others think of the gear, one man's meat is another man's poison.